This is a rectangular Borden’s Ice Cream porcelain sign. This particular Borden’s Ice Cream sign is predominantly light blue with red and white text. 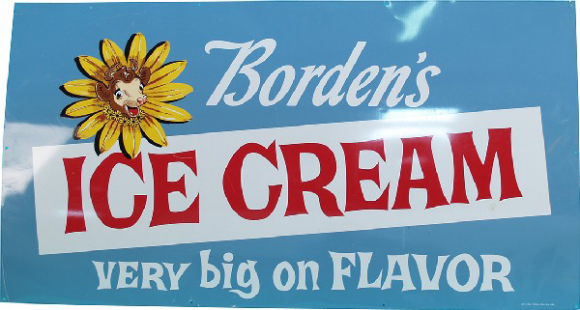 It reads, “Borden’s Ice Cream, Very Big On Flavor” and features Elsie the cow surrounded by yellow flower petals in the upper left corner.